Momoland's 'Fun to the World' tracklist is here! 'Fun to the World', Momoland's 4th mini album will be coming soon and until the date arrives, fans can take a look at the full tracklist below. 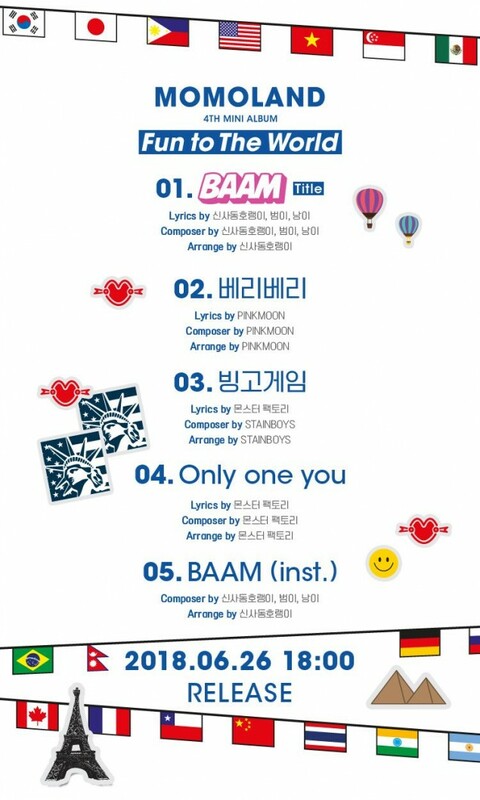 The album consists of 5 tracks in total: "BAAM" (title track), "Very Very", "Bingo Game", "Only One You", and an instrumental version of "BAAM". Are you excited for Momoland's comeback? 'Fun to the World' is scheduled to release on June 26th at 6 PM KST.